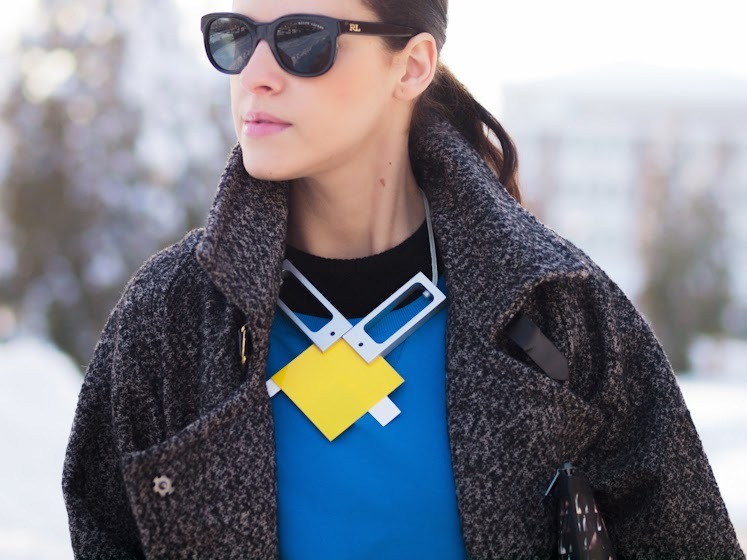 the geometric necklace is beautiful! Gorgeous, you so inspire me! The blue with a neutral and this necklace is outstanding. LOVE the necklace Veronica, what a great statement piece!